IEEE VISSOFT 2017 will be co-located with ICSME 2017 in Shanghai, China. 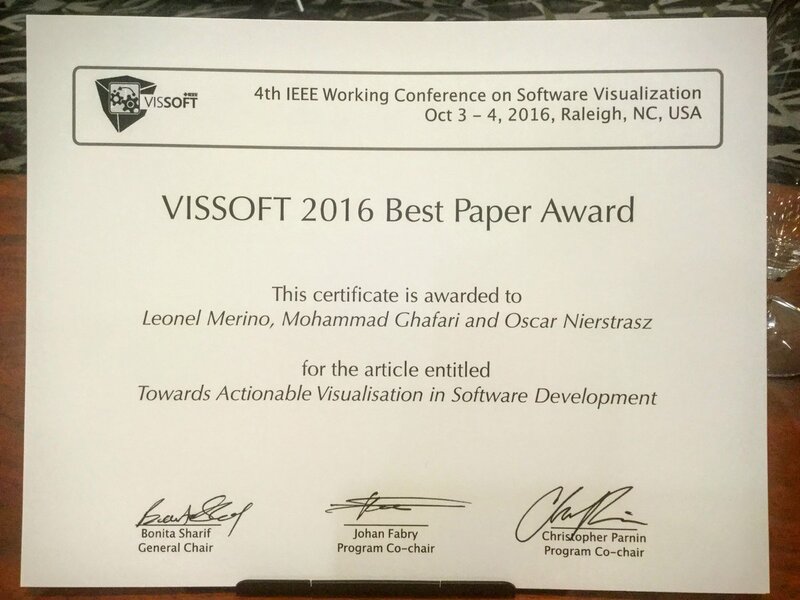 The fourth IEEE Working Conference on Software Visualization (VISSOFT 2016) builds upon the success of the past three VISSOFT editions, which in turn followed after six editions of the IEEE International Workshop on Visualizing Software for Understanding and Analysis (VISSOFT) and five editions of the ACM Symposium on Software Visualization (SOFTVIS). In 2016, VISSOFT will again be co-located with ICSME in Raleigh, North Carolina, USA. Software visualization is a broad research area encompassing concepts, methods, tools, and techniques that assist in a range of software engineering and software development activities. Covered aspects include the development and evaluation of approaches for visually analyzing software and software systems, including their structure, execution behavior, and evolution. The VISSOFT IEEE Working Conference on Software Visualization continues the history of the ACM SOFTVIS Symposium on Software Visualization and the IEEE VISSOFT International Workshop on Visualizing Software for Understanding and Analysis. The conference focuses on visualization techniques that target aspects of software maintenance and evolution, program comprehension, reverse engineering, and reengineering, i.e., how visualization helps professionals to understand, analyze, test and evolve software. We aim to gather tool developers, experts, users, and researchers from software engineering, information visualization, computer graphics, and human-computer interaction to discuss theoretical foundations, algorithms, techniques, tools, and applications related to software visualization. We seek technical papers, empirical studies, applications, or case studies and provide a platform for presenting novel research ideas and tools. 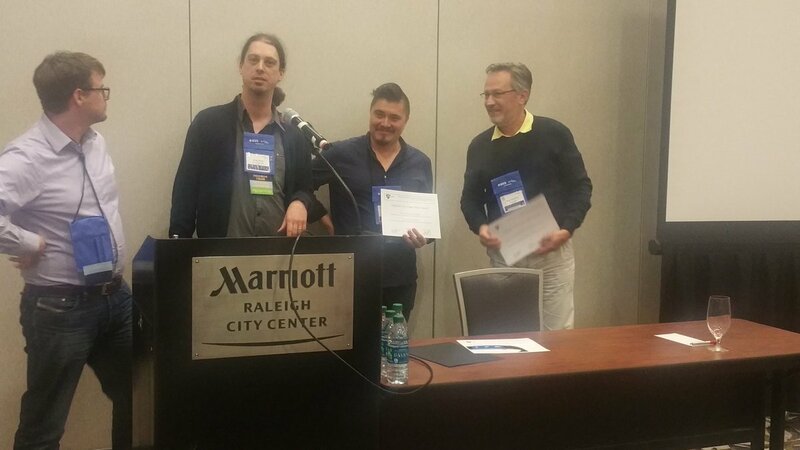 Congratulations to Leonel Merino, Mohammad Ghafari, and Oscar Nierstrasz for winning the best paper award. Their paper "Towards Actionable Visualisation in Software Development" won this award. The first author was presented with the MS Band 2 sponsored by Microsoft Research. Pictures from this year's conference can be found in the VISSOFT 2016 Photo Gallery. All dates refer to midnight 23:59:59 AoE.